Despite talk of a National League designated hitter being implemented as early as this season, MLB Commissioner Rob Manfred says any potential rule changes for 2019 will be limited to pace-of-play issues. Yes, it is a little late in the process to be discussing 2019 rule changes, so it’s a little surprising the possibility of a National League DH was even raised as a possibility. But there seems to be acknowledgement from both MLB leadership and the players union that some level of changes are due to be discussed. The timing is bad: MLB and the players are only halfway through a labor agreement that ends December 2021. So, basically, any ideas thrown out there past some very small alterations are really aimed toward that next labor agreement and not necessarily for this season or even 2020. Pace of play seems to be an area where both MLB and the players union can agree on some small changes. In this area, Manfred does have the power to implement changes, but he has declined to do so, preferring to negotiate with union officials. The pace-of-play proposals currently under discussion: a pitch clock and a requirement a relief pitcher face at least batters before the end of an inning. 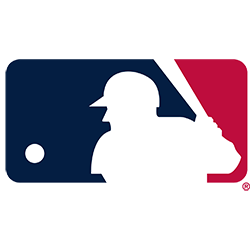 Manfred said management would discuss larger changes as part of a deal for a new collective bargaining agreement extending beyond December 2021. Management presented its latest proposal Jan. 14, one that included a requirement that pitchers face at least three batters or finish an inning. Players responded Feb. 1 with a broader plan, renewing their push for the D.H. in all games, an earlier trade deadline aimed at discouraging teams with losing records from trading stars, increasing service time for top young stars called up early in the season, and rewarding and penalizing teams in the draft based on their records. Service time is always an issue. One proposal that may end up being a nonstarter: rewarding and penalizing teams in the draft based on their records. MLB Network Radio’s Steve Phillips discussed this last week and used the Cincinnati Reds as an example of why this can’t work. The thinking behind the union proposal is that MLB teams should not be rewarded with high draft choices for tanking for a season or three. In 2018 the Reds finished with 67 wins, last in the National League Central. This season the Reds have been aggressive on the trade front and boosted payroll after acquiring the likes of Matt Kemp, Tanner Roark and Yasiel Puig in trades. But the Reds play in the ultra-competitive NL Central, and would need to add 16 wins just to escape the cellar, never mind compete for a playoff berth. Under the union proposal, the Reds could drop 10 places in the draft with several last-place finishes, Philips said, which makes no sense — the Reds clearly have increased payroll and made a commitment to an improved on-field product. The union, of course, has a vested interest in boosting payroll and creating free-agent bidding wars, but this may not be the best route to accomplishing those goals.